A little town in Mpumalanga (Eastern Transvaal). We paid the place a visit in May 2013 over one weekend, and found that a weekend is not enough to visit all places of interest, especially when it is raining on one of the days. We could go again and delve a bit deeper into the history and the surrounding of the place. Wikipedia gives the population as 1405 including the township. I noticed they have some of the dates wrong, I'll have to go and change that. It all started with Lion Cachet, careful there were two of them, they were brothers, both active as ministers and in church politics in South Africa. 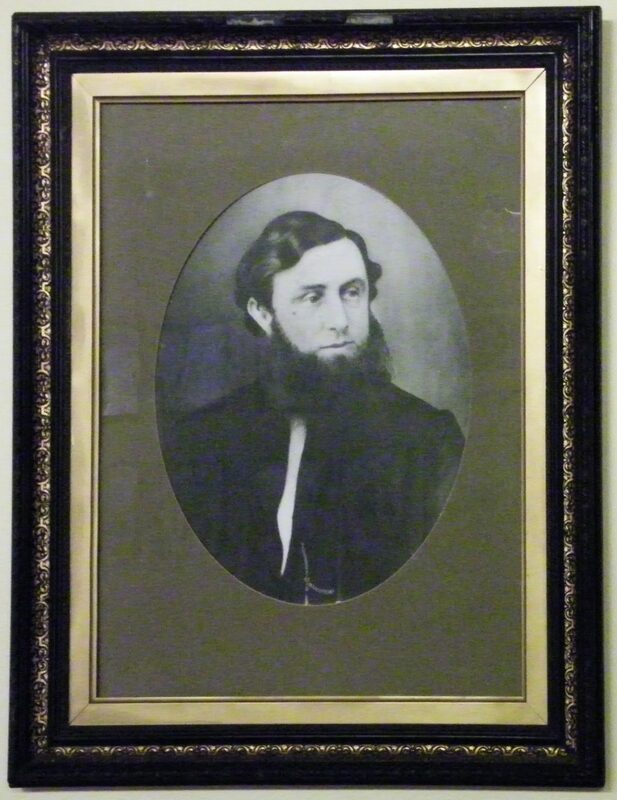 In this case it was Frans Lion Cachet who initiated the formation of a congregation around the present Amersfoort. The first church was build in 1867. At the same time stands were laid out for houses. But the town was only formally proclaimed in 1888. 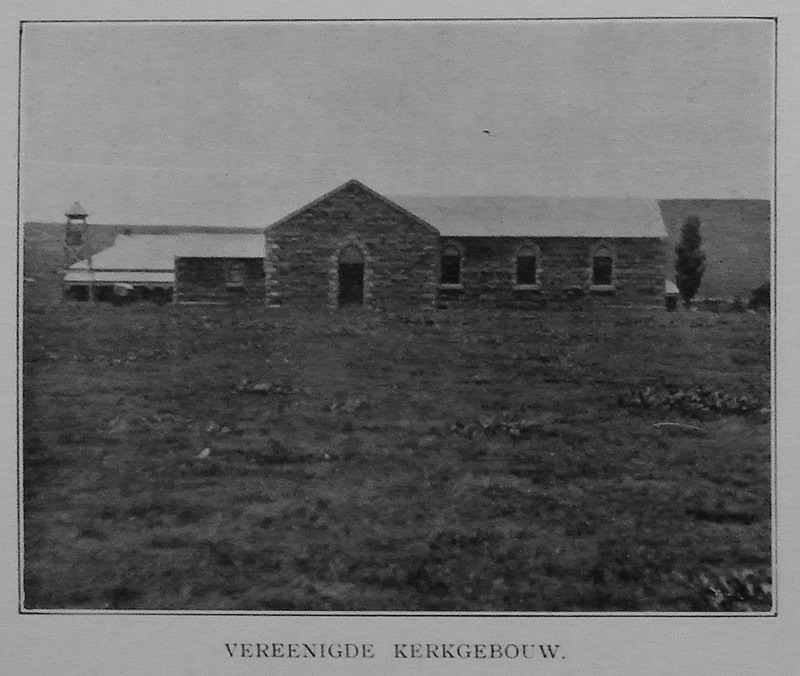 The church was later extended and provided with a corrugated iron roof, see picture. The old church has not disappeared. When the new one was built it fell into disuse until its walls were used by the mill. 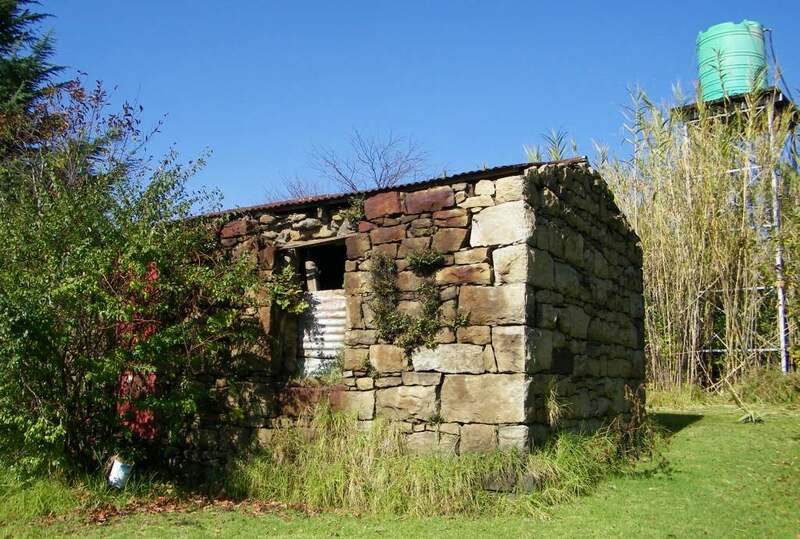 And this is still the case, one of the walls is still visible at the mill as an outside facade. 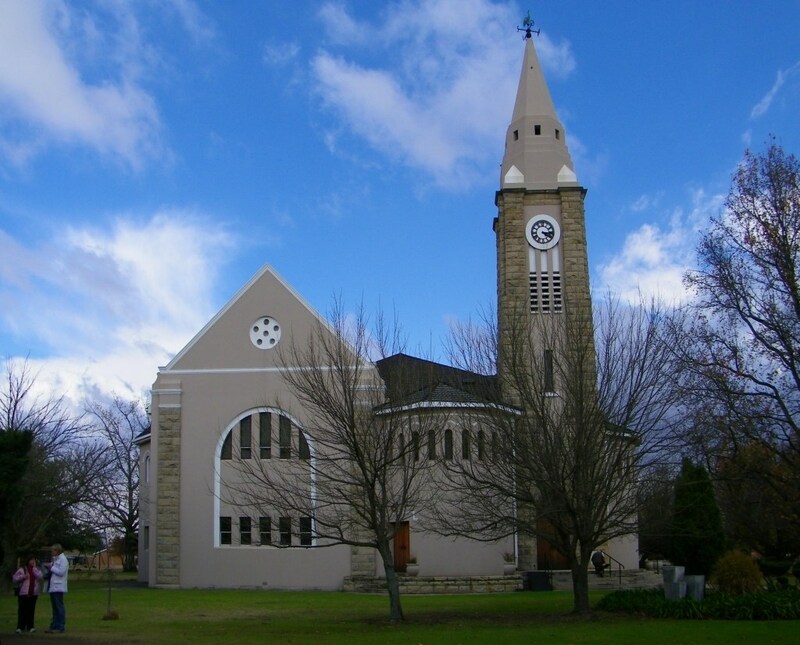 The old church was badly damaged during the Boer War and had to be made fit for service again. With the growing population it was soon felt that a new, bigger church is required. The new one was built and inaugurated in 1923. 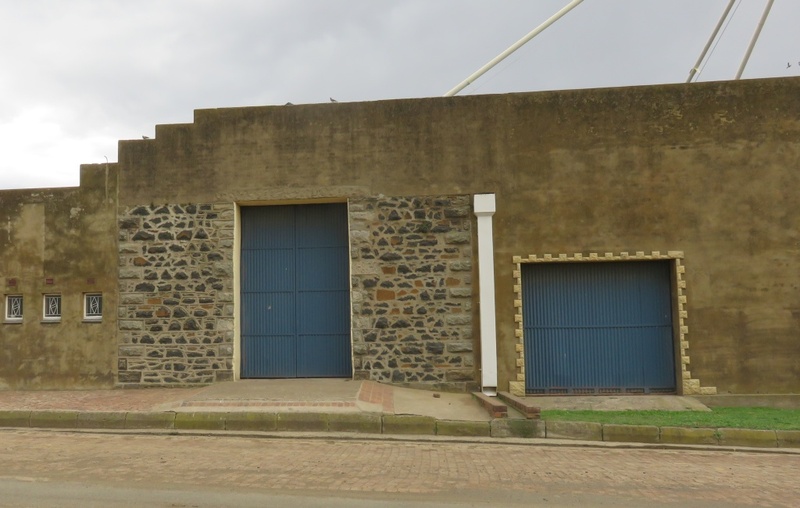 The architect was M.H.Louw. The museum is housed in the school, occupying one class room. 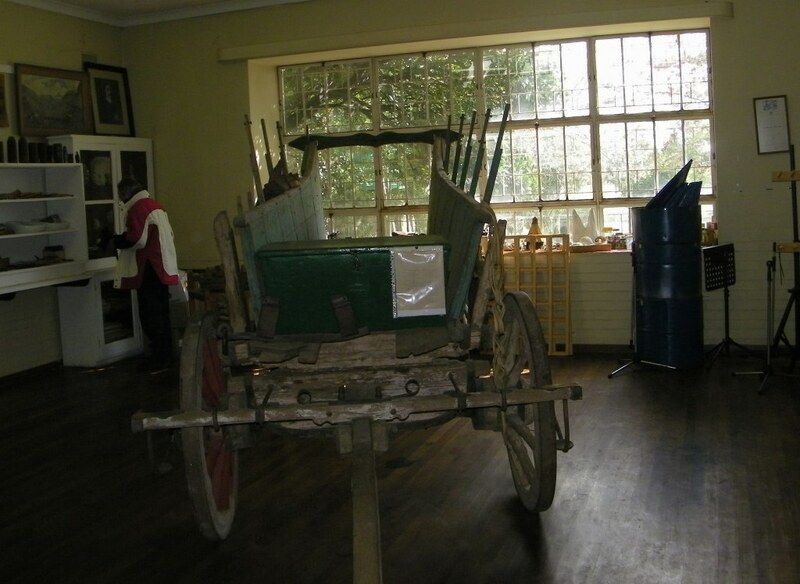 The most significant exhibit is a restored ox wagon, which has been authenticated as having been present at the battle of blood river and it was also at the massacre at Bloukranz. Apart from this it has a number of artifacts: geological, implements, documents and pictures. I had a great time going through the cupboards to look at some old pictures, newspapers, journals and documents. We visited three grave yards. 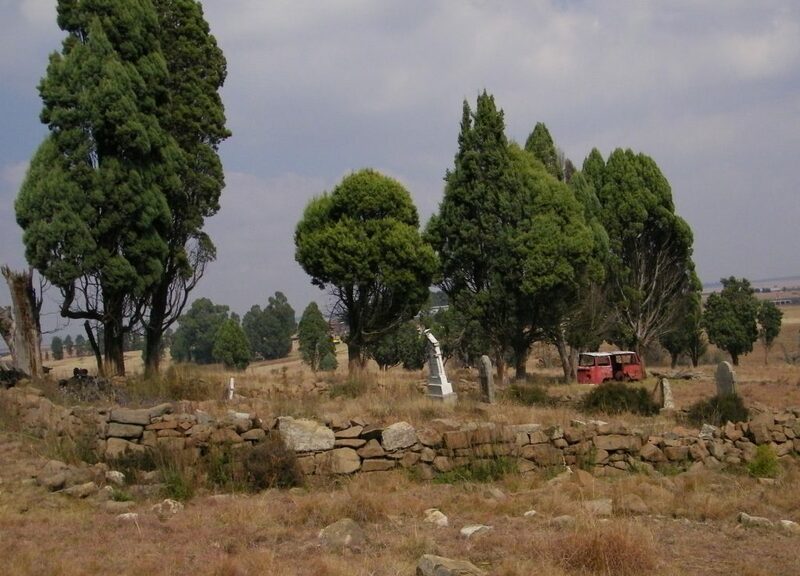 There is what is called the old cemetery, the new cemetery and the Oosthuizen graveyard. I am not so sure it is the old cemetery, dates go back to the early 20th century, to me that means there must have been an even older one. The whereabouts of that is unknown. At the west end is the Jewish section, yes like in every little town we have visited, there has been a Jewish presence. Here they even had a synagogue as we saw in the museum. Just over the Skulpspruit on the east about 300m uphill is a little graveyard, totally neglected with only two gravestones readable. It is said that Marthinus Oosthuizen was buried here. Near to these graves is a ruin of a farmhouse and outbuildings. Built from natural stones it looks like it was a beautiful building at one stage. 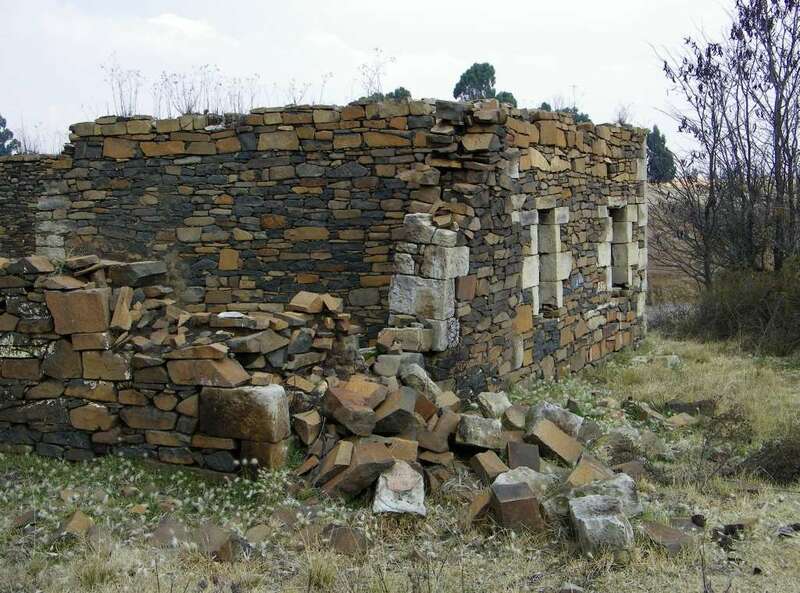 In Ref 1 it is stated that this house was built by Marthinus Oosthuizen, thus sometime in the second half of the 19th century. Not much of interest here, its new. New, meaning going back around 50 years. Yes there is one, but it hasn't seen a train for some years. 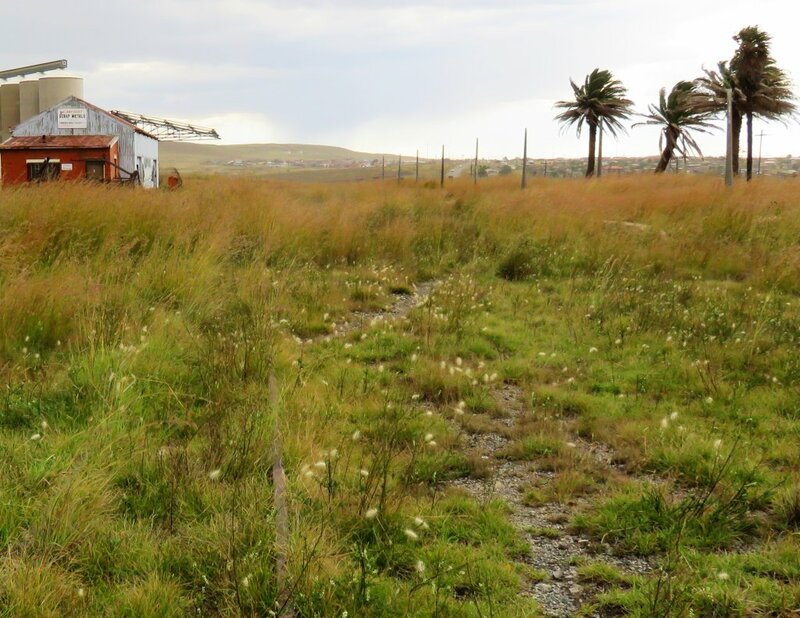 It was the line from Volksrust, Amersfoort, Morgenzon and Bethal. The platform for passengers is still there as well as the rails, covered by the long grass, the typical palm trees, the goods shed, but nothing else. The ticket office is gone. Somehow I don't think the rail will ever come back to live here. The changing demographics can be seen in school attendance. There used to be a secondary and a primary school with around 600 pupils (white), now its only a primary school with 125 pupils of which 25 are pink. The school had its beginning in the time when Ds.Knobel was the resident minister from 1897 to 1905. It is so stated in the brochure, ref.1, that a school was built as well as a house for the teacher. The house we found on the farm of Kobus Grobler on the other side of the spruit. Gert & Erika v.d.Westhuizen, "Guide to the Anglo Boer War in the Eastern Transvaal"